Finding a nice place in Belarus can be a challenging task. There's not so much information about the existing accomodation possibilities. No need to panic! We are starting the new hotel guide on tobelarus.com, which hopefully will help you solve the dilemma and find a perfect stay! Now, let's see what acomodation options tourists are provided with when they plan to visit Belarus. That is by far one of the most popular ways of finding a roof over your head. 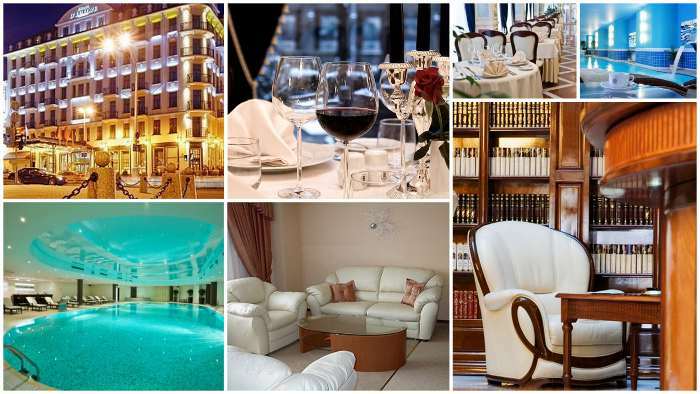 There are about 20 hotels in Minsk and about 260 in Belarus. The peculiar thing about Belarusian hotels is that many of them have that Soviet flavor (which you may like anyway) and even the most expensive ones wouldn't offer world-class service (at least at present). Fairly decent service at a bit too high price - that's what you are most likely to get here. The price range for hotels is 35-400$ per night. Hostels and budget hotels are still very rare even in the capital of Belarus, Minsk. The reason for that is simple: there's no private territory law in Belarus and not so many people are eager to invest into something uncertain. Fortunately, the first hostels started to appear not long ago, but they still lack the convenience and atmosphere of Western European hostels. A night in a Belarusian hostel would cost you about 10-15$. Where Is Belarus? It Depends! Surprisingly, one of the most popular searches related to Belarus is the question "Where is Belarus?" Thinking about that, I decided I won't be able to give a single definite answer. Never. It just depends on what we are talking about, which sphere - geography, economy, culture, history, language, etc - we have in mind. So here comes a short, but structured answer! That's the easiest explanation. Looking at the map below, we can easily see that Belarus lies in Eastern Europe, between Poland and Russia. It borders also with the Ukraine, Lithuania, and Latvia. The geographical position of Belarus has always been influencing the destiny of the country and is believed to impact the national character of Belarusians. Oh, that is a tricky one :) In short, Belarus is a post-soviet republic, and this greatly influences its current development. Since the country is not rich in natural resources, it relies on the more powerful nighbour - Russia. Most recently, Belarus has undergone severe inflation and currency devaluation. The average salary has dropped back to the value of around $200, so nobody really cares about GDP, the value that has been keeping on growing for several years. On the whole, according to 2009 census, the population is 9,503,807. Ethnic Belarusians constitute 83.7% of Belarus' total population. The next largest ethnic groups are: Russians (8.3%), Poles (3.1%), and Ukrainians (1.7%). Belarus' two official languages are Russian and Belarusian; Russian is the main language, used by 72% of the population, while Belarusian, the second official language, is only used by 11.9%. 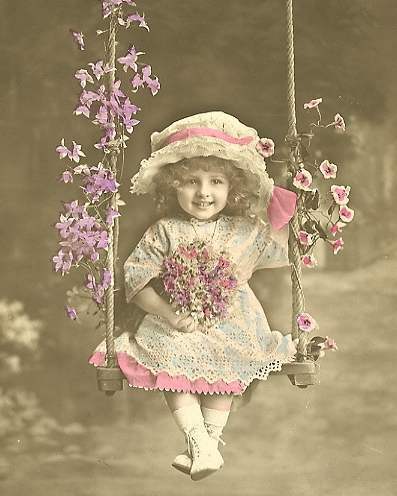 Minorities also speak Polish, Ukrainian and Eastern Yiddish. Theoretically, Belarus is a democratic presidential republic governed by a president and National Assembly. However, according to some politicians worldwide, Belarus is the last dictatorship of Europe. The reason for such "brand-naming" is the authoritarian style of president Lukashenko, who has been ruling the country for 18 years and has reacted quite aggressively towards all existing opponents. Multicultural communities, groups, galleries, etc. 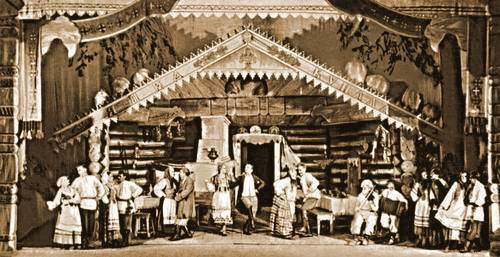 A really vibrant cultural life of theatres, music halls, etc. Now, I hope you have a much better impression of where Belarus is! Just take your time and relax, while watching this beautiful video about one day of Belarus. If you can spot the places you've been to, share your impressions in the comments below! The video was created by talented Artyom Pryadko, as a project of the Ministry of Foreign Affairs in Belarus. Modern historians consider 1446 the year of Nesvizh's birth. That year the Duke of the Great Lithuanian Principality Kazimir IV Yagellonchik handed Nesvizh to Mikolai Yan Nemirovich. Almost a century later Nesvizh became the property of the Radzivills - the biggest and most influential family in the Principality. They owned Nesvizh for more than 400 years and made it the capital of their family estate, thus turning the town into one of the most successful and comfortable privately-owned towns in Belarus. Welcome To Belarus - a Tour around Belarus and Tourist Places! - Tourism in Belarus: traveling guide, places to visit in Belarus, green tourism, belarus map, sightseeing, hotels, visas, embassy information. - Belarus and other Eastern Europe Countries: relations between Belarus and Russia, the communication with the Ukraine, historical roots of Belarus and Poland, and much more. - Most current Belarus events and news: feel the pulse of the country - follow the up-to-date events of the republic. The Project To Belarus! is a newborn website that is why much of the information is still being checked and arranged. We would be glad to receive any support from people all over the world, who are interested in Belarus, who would like to visit this country someday, who already resides in Belarusian cities and towns, and who is simply enthusiastic about new projects. 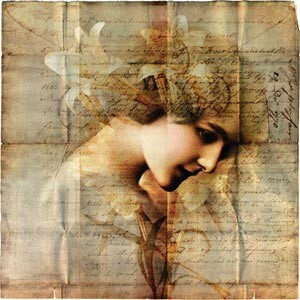 Want to be left alone and feel the spirit of nature wandering around you? Take an eco-tour around Belarus and discover nature treasures of the country! Top-notch Opera and Ballet Concert for less than 10$? Visiting a circus for a price of a coffee in the city centre? Artists corners, theatres, museums, concert halls - real art doesn't have to be pricey... at least here in Belarus! Smile: you are in Belarus, the country, most famous for its hospitality and tolerance. Meet people from Belarus, make friends, and fall in love with the country and its people. Had someone of your relatives taken part in World War 2? Had your grandparents lived in the Soviet Union? Here, on the territory of Belarus, you can feel overwhelmed with memories and recollections. Great travel destination for history-lovers! Food, drinks, houses, streets, shops, clothes, furniture - everything seems different from what you see in your country. This can really become a new world for you, the source of inspiration, and the place for recreation. Feel like diving into a new diverse world? Need more emotions and feelings outburst? Then you are most welcome to Belarus! Protected by the UNESCO, Belovezhskaya Pushcha is one of the oldest and largest forest massifs of the plain Europe. It is located in the territory of Brest (Kamenets and Pruzhany Districts), Grodno (Svisloch District) Regions as well as in the territory of Poland (around 57 thousand ha). The length of the Belarusian part of the forest reserve is over 60 km from north to south, from 10 to 50 km from west to east, the total area is 163,505 hectares. The beginning of the Belovezhskaya Pushcha protection is related to the 15th century when the Polish king Yagailo reduced the right to hunt in this territory only to himself and his cousin, the Great duke of Lithuania Vitovt, in 1409. 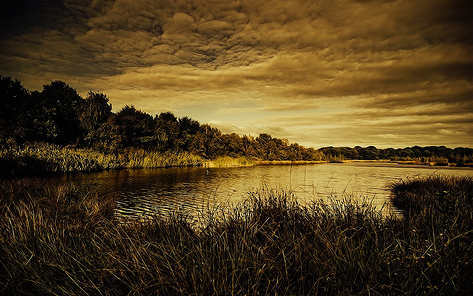 In the modern understanding, the forest reserve became an environment territory in 1921 when it was in Poland, and a nature reserve was organized with the area of around 5 thousand hectares. 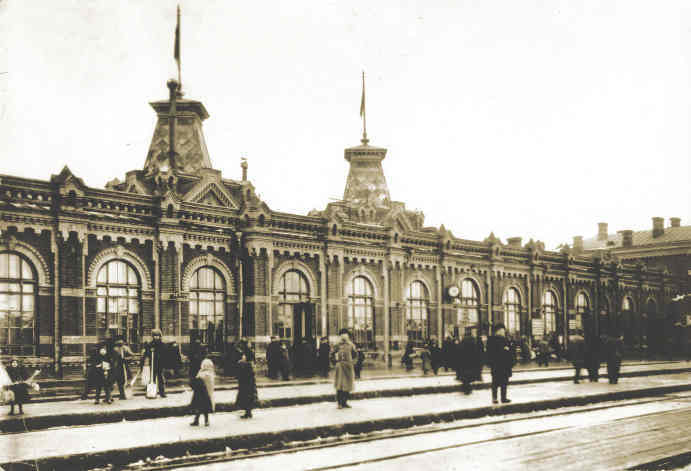 After the second world war, Belovezhskaya Pushcha was divided by the state border. 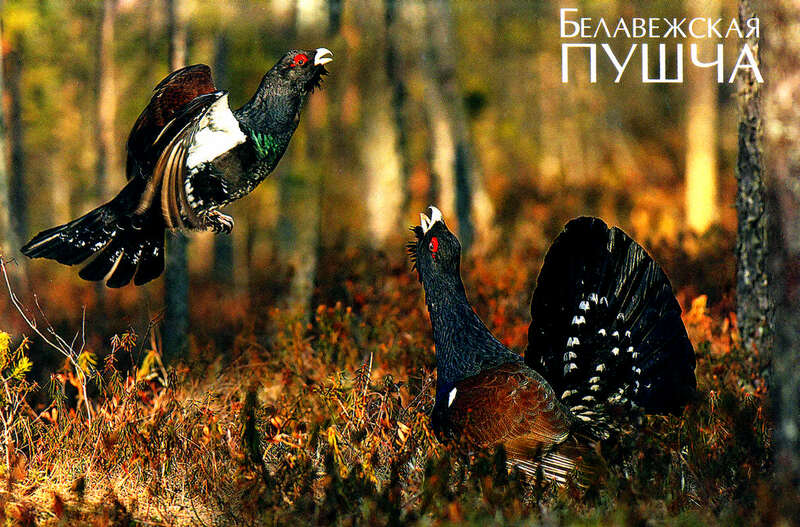 The reserve was left on the Polish side, and the Belarusian part of the forest massif became a nature reserve that was renamed to the state reserve and game husbandry in 1957. In 1991, within the limits of the forest reserve, the first national park in the Republic of Belarus, Belovezhskaya Pushcha, was established. Feel uncomfortable with ordinary maps and their system of definitions? Interested in most significant places to travel to in Belarus? This "artistic" map of Belarus should be your choice then! Created by the Belarusian artists, this colourful representation of Belarus is really impressive. With a single look, you cover such famous Belarus travel destinations, as Belovezhskaya Pushcha, Braslav Lakes, Berezinski Biosphere Reserve, and many others. For better experience, the map is split into four parts that include north-west, south-west, north-east, and south-east. Moreover, you can spot most cathedrals and churches of Belarus on this map, which will help you understand the architectural style of the country. 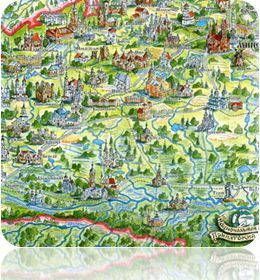 Have a look at this enjoyable work of art - the map of Belarus created by artists! Сurious about the roads leading to Minsk? Would like to travel across some of the Belarus cities surrounding Minsk? Then this Central Belarus map would be definitely of use for you! Plan your route to the point of destination, find out the better road, and calculate the kilometers you have to drive to reach the city you'd like to visit. 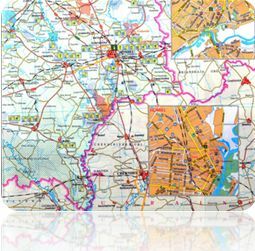 Finally, familiarize yourself with the road system of Belarus, which can be especially interesting for those planning some kind of business in the republic. 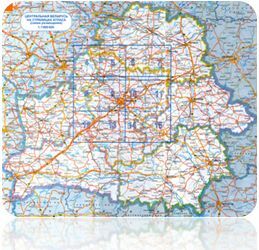 Get the map of Central Belarus here! For each of these purposes, a good map can be really handy. That is why we decided to upload a really detailed map of Belarus, with the smallest towns clearly marked up. The good news is that the whole map is in English, so no need to struggle with the Cyrillic alphabet!